Pantone was founded in 1962 for the purpose of creating colour cards that would be used by cosmetics companies. The following year they changed course with their colour matching system otherwise known as PMS (Pantone Matching System). What this does is create a catalogue of all colours that can then be used around the world with consistency. Having consistent colours is crucial for your branding or any other design project and with so many possible colours out there, it became necessary to standardise and quantify colour. Without being able to find and use a colour consistently, design projects would increase massively in logistics and time wasted. In 2000, they launched the Colour of the Year and it has since made Pantone the global authority on colour. They have moved with the times as well. Before the internet, Pantone would provide solid colour ink printed on paper. They now work in CMYK as well as RGB and have documented and numbered thousands of solid colours for you to use in your web design projects. How is the Pantone Colour of the Year Decided? This is where Aspire Door’s discovery comes in. The COTY is supposed to represent the socio-economic conditions of the time and is decided by a number of different colour representatives around the world. They meet in secret to discuss and debate what it should be. Taking pointers from fashion, art, politics, packaging, branding, film, travel destinations and more, they decide on a hue that best represents that year. Or do they? Here’s where the truth may lie. Since 2010, the Pantone Color of the Year can be observed in the living room of one of TV’s most famous families, The Simpsons. As this post from Aspire Doors demonstrates, the 2019 Color of the Year ‘Living Coral’ matches the Simpsons’ skirting boards and thus completes the set from 2010 to 2019. 2013’s COTY ‘Emerald’ matches the carpet, the walls match the 2016 COTY, every part from the magazine rack to the rug can be linked to the Pantone Color of the Year. 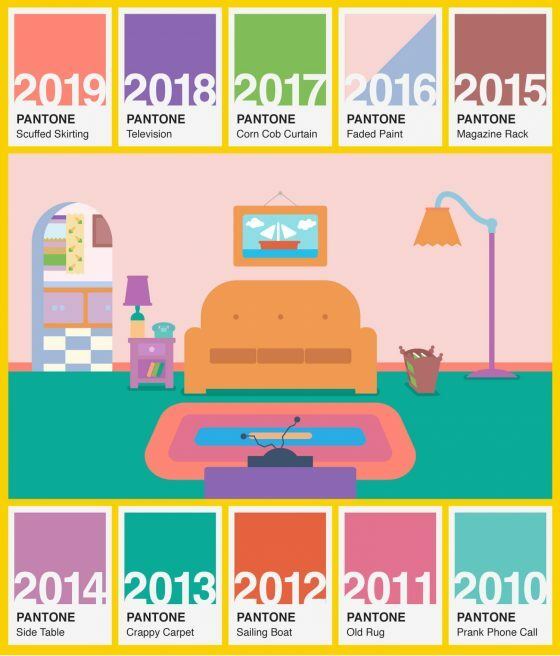 Is this proof that Pantone gave up in 2010 and are just pointing to a different part of the Simpsons living room each year? We doubt it, but the coincidence definitely raises an eyebrow. This can be categorised as one of many future predictions that The Simpsons have got right. When Donald Trump ascended to the presidency in 2016, viewers remembered the 1998 episode ‘Bart to the Future’ where Donald Trump becomes president. Even the campaign posters were almost identical apart from the slogan. The Simpsons thought he’d opt for ‘America, you can be my ex-wife!’ instead of ‘Make America Great Again’. This is just one prediction in a long list, from Las Vegas circus tiger attacks to the mass hysteria of the Higgs Boson particle; The Simpsons have had an uncanny ability to see into the future. So, are the writers time travellers? The truth is, the Simpsons have been going for so long and the world around them has always informed their jokes. In 30 years of writing jokes based on current affairs, some of those scenarios are bound to come true. After all, Donald Trump expressed interest in running for the presidency as early as 1988, a whole decade before the ‘Bart to the Future’ episode and a year before the Simpsons’ first episode in 1989. ‘The Simpsons Did It Already’ is an online meme that is testament to this fact. In 30 years of the Simpsons, they’ve covered so much ground that so many hypothetical situations have already been explored by their writers. It’s made it really hard to come up with ideas for your own TV show, because pretty much anything you can think of has already been done by Matt Groening et al. So, there’s no need to believe in time travel just yet. Colors ignite different types of emotions. Depending on which kind of feeling you plan to entice, colors are useful techniques in reaching out to your audience. 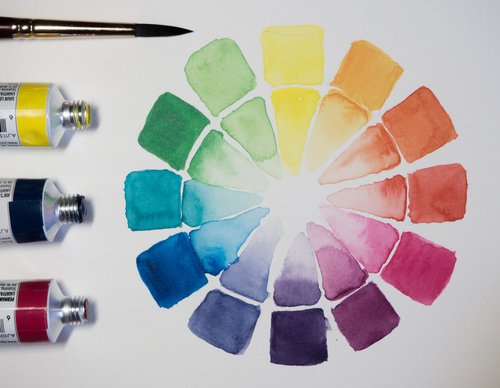 Getting customers’ attention can be a challenge, but you can be more effective in this endeavor by using color theory. Many web marketing agencies, like webmarketing123, advise companies to use the right color combinations to provoke a specific response or behavior from their audience. Companies also apply color theory when it comes to their branding or logos. Before anything else, you should know your target audience. It is essential that you fully understand the demographics and psychographics. Knowing which demographic your products serve can point you to the right colors you can use for marketing. For instance, if your audience is mostly comprised of females, you will be more inclined to use colors that appeal to the feminine psyche. Benchmarking, too, may help you get an idea on how you are going to present your brand. Observe and examine your competitors’ logos, websites, and color schemes. Knowing about the competition will give you an edge not only by letting you stand out among them, but by letting you avoid copying what might already be an existing design. Think psychologically and know the facts of your chosen colors to your audience. Try to put yourself in your customers’ shoes. Try to comprehend how they will see the meaning behind your selected colors, or their initial reactions with the colors. Know what kind of face your company is going to wear. In business, your brand’s personality will identify you among the crowd, helping you create a place in the market. This is how people will find you because the market usually gravitates with brand identities that they feel are similar or could relate to them. In choosing the right colors to represent you, being direct and deliberate in your approach is the best strategy. Choose your base, accent, and background wisely. These will function as initial calls to action throughout your site. Choosing the right color as your base is a vital role in building your brand identity. Your base color should match with your brand’s personality as mentioned above. That way, it is much easier for your brand to reach its target audience and attract their attention. The second thing you need to consider after accomplishing your base is the accent. This can be the most delicate part. It is imperative for your accent to match up not just with your brand’s personality but even with your chosen base. Furthermore, it should never overlook its impact on the audience. The neutral color will serve as your background. Hence, try to look for a color that does not attract too much attention. Commonly, colors used as neutrals are white, gray, beige and its variations. Black can be used as a neutral color, too; however, it needs careful attention. Black as a background can be inflexible and only works with specified colors, mainly white. Furthermore, having white text on a black background may slow down people’s reading speed because it’s not the format that most are used to. Don’t be afraid to set your brand apart and be different. The goal is to be different and to stand out but in a good way. Cadbury uses purple as its product’s primary color. It unlikely for a chocolatier to use such unique and random color. Commonly, when it is chocolate, warm colors such as brown or red best suit with it. However, Cadbury decided to stand out and utilize the color to bring their product into the pedestal. This logistics company used the color brown as their brand color. In 1916, where the color brown is much perceived as an epitome of luxury, it is a very unfavorable choice. However, UPS proved everyone wrong and used color brown to evoke simplicity and honesty. Yellow for the color of expensive champagne is so unlikely and intriguing. Yellow, which signifies friendliness, youth, and cheer, do not typically match to a champagne product in the general view. Regardless of how people perceive it, Veuve Clicquot just made a visual innovation to promote their brand further. There is no shortcut in the process of finding the right colors. There is no right or wrong way either. It may sound daunting, but it can also be enticing. Don’t be afraid to try out different things and to follow your gut feeling. 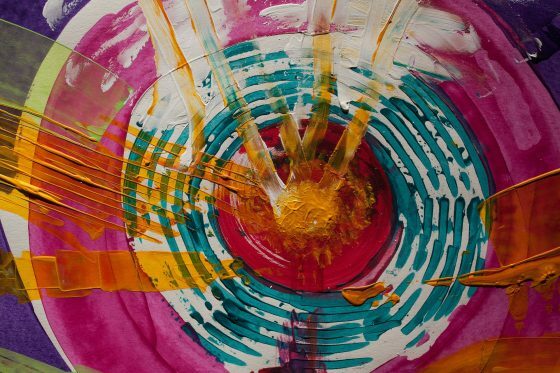 The primary purpose of using colors is to convey the right emotions, thus never neglect your own. 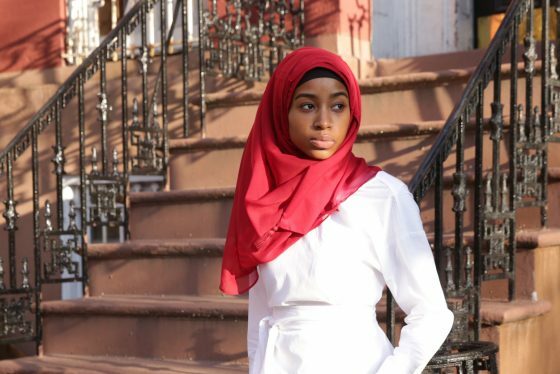 You all have heard about different colors that suit different skin tones; most of the time we choose a hijab that matches our outfit and the one in which we feel comfortable. Mostly, women hesitate a lot before experimenting with colors that they do not normally opt for, because we are unsure if it is going to look well or not. As a matter of fact, using colors that complement our skin type and tone matter a lot. 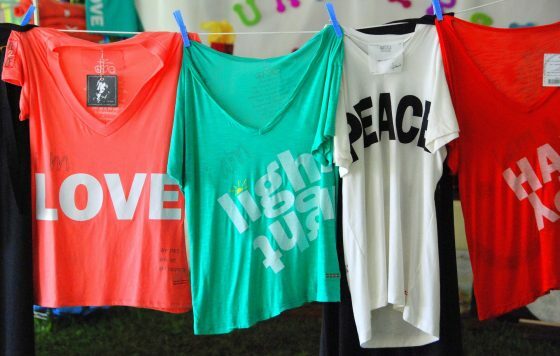 If we use the right colors, they will definitely bring life to our face. Choosing and wearing the right hijab color helps you to look amazing and feel comfortable. Once you have selected colors, you can go online to browse through a wide selection of hijabs that complement different skin tones. What color goes best with the dark skin tone? 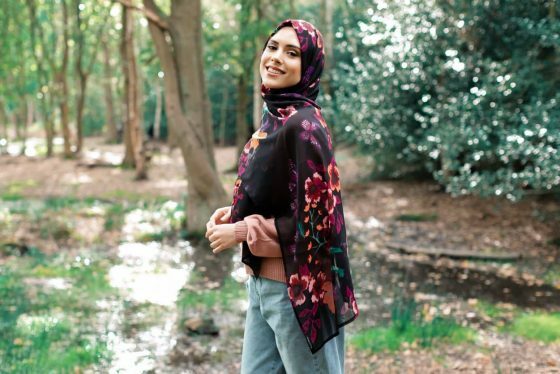 How you can style your hijab according to your skin tone? There might be many questions coming to your mind, yet you will not believe how simple the answers are. There is a wide range of colors that looks superb on girls having darker skin tone. You can enhance your look by being careful when choosing right hijab color combinations which go perfectly with your outfit and your skin tone. Vein test is a pretty easy way of determining your skin’s undertone. How to choose right color for your skin tone? Skin tone is the primary determinant of hijab colors that will suit you; largely, skin tones are divided into broad categories of light, medium and darker skin tone. Once you understand the shades and undertone of your skin, you will be able to choose a stylish hijab that will go with your skin tone. There is no need to worry as there are multiple ways to select a perfect hijab color. For instance, if you are planning to wear a camel color top, you can go for a contrast hijab in a black color. You can also coordinate the look with black jeans and camel shoes. Experimenting with different colors will reveal what looks best and what to avoid. Try bold and lively colors because they look so great on dark or medium skin tone. Complement your look and skin tone with jewelry and accessories that go well with your hijab color choice. There are multiple shades of red but amongst all the shades of red, dark red is perfect for your dark skin tone. It is a true deep color that brings out the features of dark colored face. Just like light grey head scarf is best for fair skin tone, similarly, dark grey is best for deep skin tone. Pastel color looks extraordinarily amazing with dark skin color. Purple or green floral patterns will be smart choices for you. Girls with darker skin tone should go for classy colors like dark blue. The reason is that if you wear light colors, it will make you appear even darker. Other than dark blue, there are multiple color choices like raspberry and hunter green that can bring out the best in you. Ivory or gold are safer options than going for solid white. Cranberry, violet and amber will also play well with your skin tone. A powerful combo of black and gold is a no-fail hijab choice for dark colored skin. Animal prints like cheetah or leopard will look good on you as well. Girls with darker skin tone are quite lucky as their skin tone can easily go with any hijab color. Yet, it would be best to avoid colors that match closely with your skin tone; they might blend too closely and make you look dull. You can consider coral color, light pink, light brown, mint green and similar options. Dark skin is the most versatile of all skin tones. Avoid wearing darker color hijabs that exactly blend into your actual skin tone. With dark skin, you can experiment with bright, muted or pastel colors as well; almost all solid colors easily go with darker skin tone. Right selection of hijab will bring out the darker elements and your features will look extra beautiful. As a girl with dark skin tone, you should not select mocha color hijab or a camel one as they will not make your features stand out. Pure white is not a wise choice as well; if you want to wear white colored hijab, go for a floral one or patterned black-and-white head scarf. Generally, girls with dark skin aspire to have a fair skin tone; but, if you are a hijabi, you can use your dark skin tone to your advantage. Play around with different hijab colors to see which hijab colors help you out to enhance your modesty and style. One of the most important aspects of business is producing a product or service that will truly connect to consumers, where they can feel positive about a certain brand, whether it’s for ethical reasons, or simply because they believe in the “message” of a certain company, for example. You will often see companies spend an exorbitant amount of money on things that might otherwise seem trivial, such as the design of their company logo, the influencers that they utilize in marketing campaigns, and even the color of certain products. Of course, every owner and marketer has their own opinions on what is important or not, and there are many who might dismiss certain aspects of a product that others might consider essential. Regardless, time and time again, we see that the color of a product is actually more integral to consumers than we might believe - whether they realize it or not. If you are forced to think of fast food, and some of the most well-known companies in the space, what will you think of? There’s a very big chance that you might think suddenly about McDonald’s, and with good reason. When you consider that McDonald’s has sold far more burgers than there are people on this Earth - it’s easy to see why the company is so well-known. What are the first two colors that you think about when you think about McDonald’s? Red and yellow. Why are they used? Well, you might be surprised to find that McDonald’s takes these colors very seriously, as red and yellow respectively inspire appetite, hunger, and attention, with the yellow rounding out this urgency with a bit of “friendliness”. For those who might downplay the idea of red meaning hunger, consider this: Chick-Fil-A relies very much on red, and they are now considered a big threat to established fast food companies. For those that understand the psychology of color - this certainly isn’t that surprising. It isn’t surprising that many connect the color green with growth and fertility, because there is a good chance that they think about grass, trees, foliage, and plant life. For those that have a health/nature brand - it certainly makes sense to connect to this color, doesn’t it? The Nature Valley granola bar has now become one of the most popular granola bars in the world, and it features bright green packaging, for example. John Deere is considered one of the most important companies in the United States, and the company is a global player in the agriculture sector.. That might be why it’s logo is clearly green, and it incorporates green into much of its products. It’s no secret that gold is associated with luxury, and one can even read about how during Biblical times, human beings understood the value of gold. As a result, the color is still associated with charm, luxury, comfort, and treasure. It is certainly no coincidence that MGM Grand, one of the most well-known hospitality and entertainment brands in the world, wants to convey a message to consumers that they are “prosperous”. MGM Grand International certainly lives up to the reputation, as it was responsible for building the CityCenter in Las Vegas, Nevada, which at the time was the world’s largest construction site and is one of the most expensive real estate projects in recent memory. As a result, it’s easy to see why a gold watch is so appealing to those who want to make sure that they present themselves in a professional manner, and how it can serve as a sort of status symbol. The truth is that we still view gold as valuable, and gold has even appreciated throughout the years as an asset considerably, which obviously helps with public perception. Over the past 15 years, the value of gold has increased by over 300%. Using gold in your brand is a great way to communicate abundance and luxury in a simple and effective way. Shoppers and retailers have one thing in common: they always want to stay on top of the latest trends. And that is why everyone should be on the lookout for the hottest shopping trends out there. The thing about fashion and shopping trends is that every season, a lot of things fall out of favor and many other trends rise. And yet there are classics that continue to reign, so you should know about those eternal trends. Whether it’s for spring or summer, it can be quite difficult to keep up with these ever-changing trends. So today, we will take a look at the colors and trends that are dominating this year, so that you don’t get left out. Suffice to say, spring and summer 2019 are going to be exciting. For 2019, the hottest colors are going to be red, clear blue, yellow, orange, and metallic. You can go bold with your color options this year because these hues are going to be everywhere. Wine red, mandarin orange, butter yellow, teal, and mauve are the colors of the season. However, metallic pieces should not be ignored, because these items have been conquering the runway for a while. Even various metallic shades are being used to shake things up: pink, gold, and green that lean towards silver, for example, are worth exploring. For even more options, there are other sleeper picks to look out for. Living coral, which is a salmon-pink color, is a surprisingly popular pick. Dove blue, lemon verbena, dusty rose, and even beige are slowly making a case for themselves. The color theme of spring and summer 2019 is “empowering colors”. These various shades could make anyone feel empowered. Fashion designers are still flaunting their skills by using these two, ever-reliable materials. Denim and leather are all over the runways, and you can expect them to be everywhere this season too. However, crochet and vinyl are hot on their tracks and are eagerly waiting for their moment in the spotlight, because these fashion choices are definitely gaining popularity. Instagram really is taking over the social media industry by storm, and that is part of the reason why millennial's are so trend-conscious these days. Accessories that are slowly captivating this generation are micro-sunglasses, fishing hats, scarves, and necklaces. It’s interesting that millennial's are stacking as many necklaces as possible—this is a surprising new trend that remains relevant in spring and less for summer 2019. And don’t underestimate the power of statement earrings. Bigger, angular, and embellished statement earrings are really making their mark on the fashion world these days. As for shoes, you’ll see a strikingly large amount of yellow being worn everywhere: runways, streets, etc. Footwear choices that were popular last season are expected to remain on top of the trends this year. But also try animal prints, transparent bands, and rope/braided slippers if you want to spice things up. Catwalks were filled with asymmetrical, one-shoulder dresses. But even more interesting is the fact that the polo dress is seemingly making a comeback. The oversized shirt, the so-called boyfriend shirt, and the oversized blazer are also in this season. If you want to keep things interesting, the Wild West remains an important theme that anybody can try. Cotton is combed with heavier suedes and leather. The western focus easily shifts from practical outerwear to more romantic clothing. Keep up with the latest fashion trends this season and visit The Shops @Rockvale at 35 S. Willowdale Drive, Lancaster, PA 17602. Sleep is one of the most important activities that we engage in and it’s essential to ensuring optimal health. Lack of sleep can compromise your ability to perform even the most basic mental functions like focusing on a task or processing thoughts clearly. That’s why it’s paramount to not only focus on the quantity of sleep but on the quality as well. According to experts, light exposure can have a tremendous effect your body’s internal clock. This is what makes us feel sleepy when it’s dark and energized when the suns out. New research suggests that it’s not just the presence or absence of light that affects our circadian rhythm, but the color of that light as well. This might explain why we feel a certain way when we see a beautiful peachy sunset or the blue light emanating from our electronic devices. 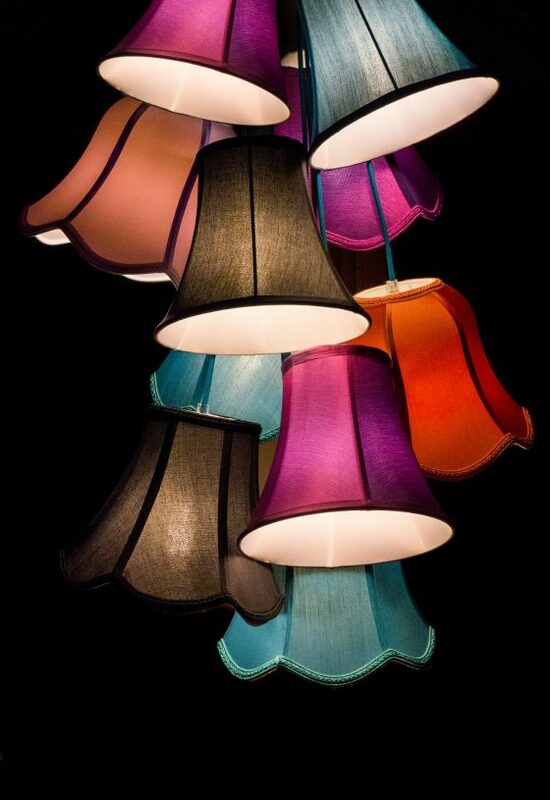 Read on to find out how lighting color can affect your sleep. It’s a well-known fact that the blue light coming from our laptops and smart devices can have a detrimental effect on our circadian rhythm. That’s because it suppresses the body’s ability to produce melatonin and this gives rise to problems like insomnia and restlessness. That’s also why we tend to have a harder time falling sitting in front of a laptop or smartphone screen. The PLOS Biology journal published a 2015 study which was aimed at understanding how mice responded to light color exposure. 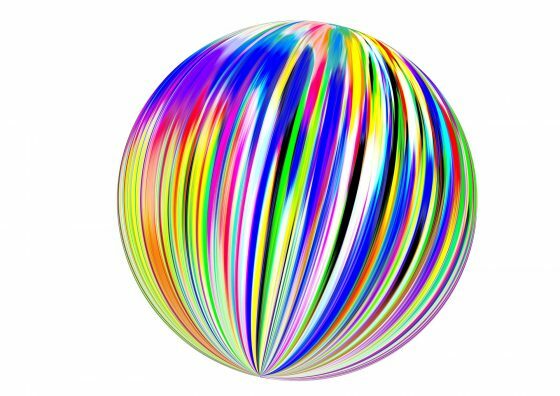 What makes this study unique is the fact that it focused on the effect of light color on suprachiasmatic nucleus. This is the part of the brain that regulates time through chemical signals. As such, the researchers checked the mice’s mental and physical chemical reactions to light color changes. During the research, the mice were exposed to different levels of light intensity and darkness while measuring their suprachiasmatic nerve signals. To achieve this, the researchers used a “fake sky” setup, kind of like in the Jim Carrey movie The Truman Show. The researchers also tested the mice’s response to different light colors like the purples and peaches that you get during sunrises and sunsets. The data showed that the mice reacted normally to regular light exposure. However, the response of their suprachiasmatic nerve signals showed a 30 minute delay whenever they were exposed to conditions that went from light to dark without any changes in color hue. This is like working on your laptop all night and being exposed to its blue light and then suddenly switching it off without any sort of transition light color. This research also shows us that the mice actually needed changes in light color to help them transition from light to dark. So the intensity and color of light has a strong correlation to our sleep patterns because science has shown us that there is a strong link between humans and mice in terms of suprachiasmatic nerve signals. It’s also interesting to note that LED light bulbs may affect our ability to fall asleep because they emit more blue light than other light bulbs. But, according to the Elektra lighting design team, light fittings with specially engineered LED light can actually facilitate better sleep by emiting a unique amber glow. The good news is that there are certain methods that we can apply to correct the problems caused by blue light exposure. The most obvious solution is to work on drastically reducing your exposure. This is understandably difficult for anyone living in the 21st century because we conduct most of our lives through a screen interface. But, even if you can’t eliminate the use of blue light emitting screens during the day, you may do so at night. Try and read a book instead of looking at your cellphone, resist the urge to check emails or texts before bedtime, and avoid watching TV for at least two hours before you sleep. If you can’t completely avoid blue light exposure at night, then wear orange tinted sunglasses while looking at the screen to reduce its effects on your biology. Orange tinted glasses help to block the blue light, thus making it easier to fall asleep afterward. There are several factors that will be influential to the success of your business. The quality of the products and services, location of the physical store, human resources, and timing are just some of the most crucial. In most cases, people tend to focus on the bigger picture when talking about business success and they ignore the small details. Among others, one that you should not miss is the importance of a logo, which should speak about the personality of the business. More than the actual design, there is another factor that will contribute to its success – the color. In the rest of this post, we will discuss some of the reasons why the color of the logo is important. While we’re at it, we will also look at some of the best colors to incorporate in your business logo and their meanings. Before we proceed, if you need help in designing a logo for your website, check this out - https://www.thetop10sites.com/logo-design/. You will find a variety of choices to help you in coming up with the perfect logo that will speak about your business. On top of the list is the obvious – aesthetics. The color is important because of the overall appeal that it provides the logo. Would you choose a color that won’t speak to your target market? Of course, not! Pick a color that will immediately captivate their attention the first time they see the logo. If they do not find the color appealing, they might not even notice that it is a company logo. In line with this, it is said that 93% of purchase decisions are based on visual perceptions, which can rely not only on the color of the packaging but even the color of the logo that is printed on it. To add, the color is also critical because it will allow you to make an instant connection to your target market. Are you trying to target people who are young? Probably, you will benefit from using colors that are vibrant and energetic. On the other hand, if you wish to target professionals, you might want to choose subdued colors. Meanwhile, if the affluent market is the target, choose colors that are elegant, which will make the logo appealing. In one article from Harvard Business Review, it has been noted that trust matters more than ever for brands. It is one of the most important goals of branding. How exactly can this be done? Probably through the use of the right color. 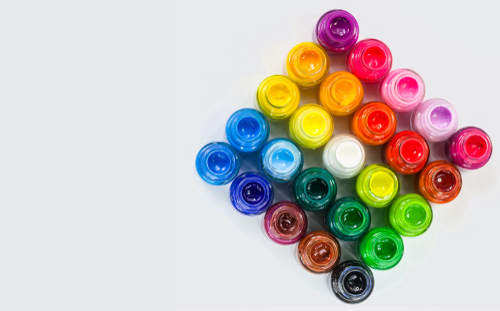 Aside from building trust, color also builds brand recognition. Meaning, it will be easier for the people to link the logo to your company. More so, color is important for differentiation. It makes you unique compared to your competitors, and hence, will be easier to recognize. For instance, if there is a row of shops along the street, all of which are offering the same product or service if your logo color is different, you will easily stand out. Lastly, and perhaps most importantly, logo appeals to the emotion. It provides the business with the opportunity to develop a connection to its customers. In fact, color is the biggest emotional trigger in logo design, which is why it is critical to give this a careful thought. This brings us to the next part of this post, which will discuss the colors of logos and their meanings. If you are unsure how to design or redesign your logo, take note of the discussions in the next part. Now, let us have a look at some of the colors that you might want to consider for your logo, as well as their meanings or the messages that they convey. Blue: This is the best choice for a logo color if you want to evoke professionalism. It is also often linked to trust, which explains why it is the color of many bank logos. Safety, loyalty, and power are also linked to this color, which is why governments often pick it. Red: The intensity and warmth of this color make it effective if you are targeting extroverts or males. This will also be a good choice to show passion. It is also effective in boosting appetite, so there is no wonder why a lot of fast food chains use this as their logo color. Black: For luxury, authority, superiority, and classiness, black is the perfect logo color. It is for businesses that would like to show off their elegance, making it an excellent color for those targeting the rich market. Orange: You will see a lot of art and sports brands using this as the color of their logo. It is associated with energy and creativity. It is also common in restaurants because it can stimulate hunger, although, not as intense as red. Yellow: Often associated with sunshine, this vibrant color will make people cheerful and friendly. 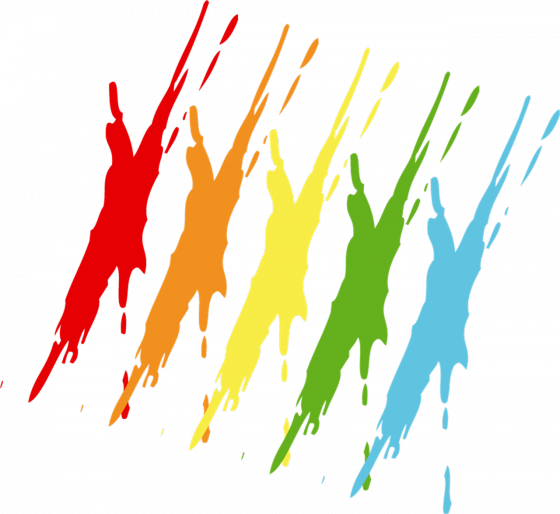 In most cases, however, it is not used as the main logo color because of the lack of emotional appeal, but it is used as an element to highlight some parts of the logo. For a more detailed guide on how colors will be able to manipulate emotions, check out this link - https://www.businessinsider.com/the-importance-of-a-logos-color-2014-4. This article from Business Insider also comes with practical examples that will make it easy for you to realize that the things we tackled above are indeed right. So, do you want to create an effective logo that connects to the emotions of your customers, stands out from the competitors, and captivates attention? As noted above, there is one way to do it – choose the right color for your logo. While color is important, however, it should be emphasized that there are other elements that will affect the perception of the logo, including the shape and the font. Everything is associated with a particular color. For painters, marketing professionals, and designers, it is vital to use various color shades to achieve business success. But very few know that color can affect learning abilities as well. Most educators admit that colorful desks and chairs along with glowing bulletin boards can turn a faded classroom into a bright place that holds students' attention. Colors do more than just animate a surrounding environment. They are so powerful that if used incorrectly, they can cause students to become overexcited and overactive. The use of a particular color can greatly affect the learners' feelings and performance. Thus, when it comes to the design of classrooms, it is crucial to understand the psychology of colors so that one can find out which colors to use and which ones should be avoided. You have probably noticed that by having a walk to the woods. Along with delivering fresh air, green trees make people restful and calm, boosting their creativity and increasing their focus. Therefore, this color is a great choice for sharpening students' concentration. Except for being one of the best for our eyes, it is associated with nature. For this very reason, actors relax in green rooms while not performing. This color helps learners to maintain their concentration for a long time, making it a perfect choice for school. The same cannot be said about red, which produces an opposite effect. There is scientific evidence indicating that those who study in green classrooms show better academic performance than those who don't. In fact, the color enhances the students' mental state and thus improves their learning capabilities. It is recommended to use green in the school design so that students can always look at it for a while to revitalize and turn their focus toward educational materials with ease. Orange can enhance mood, promote comfort, and boost the brain functioning of students. There are facts indicating that an orange surrounding affects the oxygen supply to the brain and stimulates attentiveness. When learners get an increased amount of this color, they start to feel more revitalized and ready to put things straight. There are many examination halls painted in this color to improve students' results. Schools should remember that bright orange can overstimulate those who are inherently highly energetic. This color is perfect for underlining the content presented on the screen as it draws the recipients' attention. Thus, many teachers refuse to use the usual red color in favor of this color for obvious reasons. However, because it is very bright, it can create an overwhelming effect. In ancient China, this color was used for sharpening concentration and promoting self-discipline. But then again, they avoided bright orange as it could have caused them a headache. Taken all, it is good but only if used in small doses. The conducted studies have shown that those with increased cognitive load, such as educators, learners, and so forth, feel better when surrounded by blue. But with all this, it is nonsense to live in a monochrome environment - cool colors should be combined with warm ones. The best solution is to balance one color with its complementary one. The blue color helps to learn in challenging situations. It also helps readers to better assimilate information. Therefore, the use of blue paper and ink for employment is a fairly reasonable solution. While this color, especially its light shades, seems to be soothing and calming, its darker shades may cause anxiety. As for professionals, many of them advise to combine blue with orange, especially for drawing students' attention to important educational materials. In a nutshell, blue can help teachers to engage learners in a high level of thinking, but too much of it can cause apathy and unamiability. In preschool and elementary school, it is advisable to use warm colors, which greatly complement the extroverted nature of kids. In middle and high educational institutions, cool colors can do the trick as they help students to relax and focus on educational materials better. Light shades of green will work well in libraries as they promote calmness. Even though most educators cannot decide on what colors to use for walls in classrooms, they can choose school desks, chairs, bookcases, and wall decorations. Therefore, instructors and learners can benefit from the colors of school furniture and decorative elements. Using brightly-colored desks and chairs in places where students are supposed to acquire new information can make a difference. Cool colors will work well in areas where kids are supposed to relax and get more concentrated. When it comes to bulletin boards, there is no need to combine too many colors; two or three colors complementing each other are more than enough. 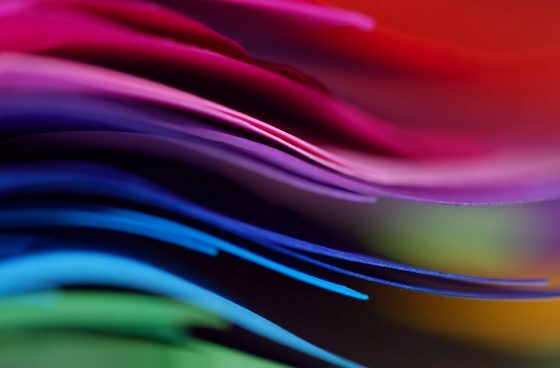 If schools overdo with colors, students can get overwhelmed and confused, and have the only desire that someone, for example, Pro-Papers, will do all the tasks for them. Like schoolers, educators also come under the influence of colors. It is important for them to be surrounded by proper colors as they have to spend a whole working day at school too. To stay motivated and inspired, teachers should use soothing shades around their desks. In conclusion, many studies show that every color has its effect on both the psychological and physiological states of a person. While some colors are soothing, others seem to be more stimulating. 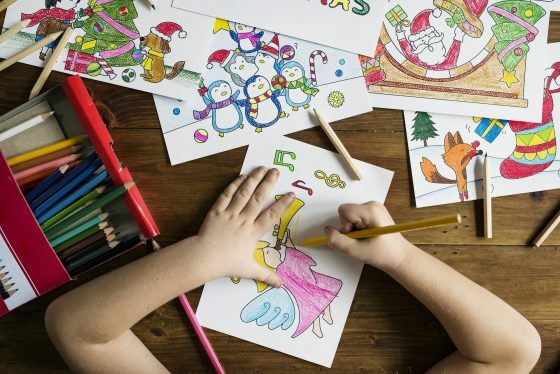 By applying an understanding of the psychology of colors to school design, one can see how vital it is to make sure that the colors used in school settings bring maximum results in terms of the academic progress of children.